Hello and welcome to another edition of (Social) Contract from Below. Unfortunately, between a sweet new job and midterms, real life has gotten in the way of doing anything magic related, including doing the due diligence for the article I was going to write this week. Rather than “phone it in” (the day I start doing that is the day that I stop writing), I’m going to hold off on talking about the color blue (hence the Eiffel65 music video at the end of my last article) and instead cover two different topics that I’ve been wanting to write about. While none of these could be an article on their own, they all have nifty interactions with the social contract and the nature of the format we play. Think of this week as ordering the Tour of Italy at Olive Garden. Yes, the portions are smaller, but you’ll still leave just as full. Also, as promised on Twitter and in the comments of my previous article, other than this reference, there will be no mention of Sensei’s Divining Top in this article. With that said here we go. Each Commander card has the supertype “General.” Generals are immune to the Legend rule when the other legend in question is also a general. “Generalness” is not a copyable characteristic. Generals are still subject to the legend rule of a non- general version enters the battlefield. To Explain further let me give you some examples. In the case above, both mine and my opponents Momir’s would be “generals” and if they were to be in play at the same time, they would not trigger the legend rule. However, if our third friend, plays a non-general Momir out of his library (apparently everyone in this game loves Simic), then all three of our Momir’s would be “legend ruled” and placed in our graveyard. The sentence in their about Generalness not being a copyable characteristic is fancy MtG Rulespeak to say that copies of a general (like a Clone or the token created by Stolen Identity) would not be a general and therefore trigger the legend rule. 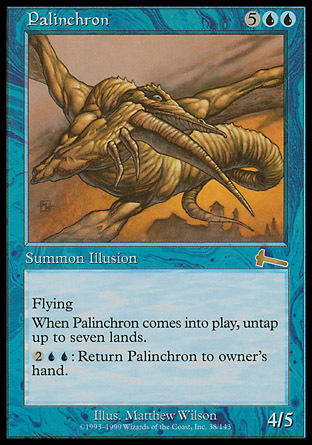 I know that many players (myself included) play clone effects as quasi-removal for hexproof Commanders like Thrun and Uril and I did not want to squash that ability. Mini-topic Number Two- What makes a “good” game of Commander. 1. Bring a good attitude to the table- Unlike most other games of magic, where my primary goal is to win, I play commander because it is fun. I enjoy the craziness of the format, the social aspects of the game, and the people I am playing with. That being said, there are times when my mind is not ready for that brand of crazy. These are the times when I sit back and watch a game or even just call it an early evening, rather than letting the existential funk that I am in ruin the game for others. 2. Play decks that you want to play (and wouldn’t mind playing against). – This has become my new number one rule for deck building. If I look at the deck I have created and say “Playing this would be like sticking my hand (or other sensitive parts of my anatomy) in a toaster,” then it’s my job to take it back to the drawing board and fix it so those feelings cease. This is not to say that my brand of fun is the only kind (I myself am a control player at heart and do not feel the slightest bit guilty casting control cards of all colors), but if you know that this will be no fun for anyone then save us all the trouble and leave that deck at home. 3. Check your baggage before you head out of the gate. – All too often I see what could be good games go sideways due to petty vendettas. While I am all for the retaliation aspects of the game (I swear that milling me for 36 cards is a declaration of war even if I am playing reanimator, don’t give me that “I helping you” garbage), things that happened in previous games, in the last round of FNM an hour ago, or last year at the company Christmas party have no business in this game. If you cannot let go of the fact that someone swung at you first last game then you need to examine why you are playing commander in the first place. 4. Don’t get mad when someone says no.- I think that Commander brings out the child gamer in us (for the record, this is a good thing. The world would be better if we let our inner Kindergartener out for often). We look at the cards in our decks/in play/in our hand and that child starts giggling thinking “I’m gonna cast this one, then this one, then deal with that and MY OPPONENTS WILL BOW BEFORE ME!!!!!! !” Then you start to fire off your maniacal plan and someone stops it, whether it’s by counterspells, kill spells, or just messing with your plan. The trick to a good game of Commander is to, rather than stewing/whining that someone ruined your fun, is to come up with a new plan to overcome what that someone just did. Remember that, despite the social nature of this game, we are still trying to win. Part of trying to win is stopping your opponents plan. 5. Do something awesome. – This is Commander, the format where stupid is the norm. We are supposed to go the goofy things that come with this format. Kill a player with your 512/512 Chameleon Colossus, reanimate an entire goblin army with Chainer, Dementia Master out of an opponent’s graveyard, and cast Radiate targeting Rapid Hybridization and make people smash with their newly minted armies of freaky fish guys. We are playing the format that other formats wish they could be like. If you are not taking advantage of that, then you may be missing the point. Well that’s it for me this week. I am still looking for questions for my “social contract mailbag” article so if you have questions or problems you’d like me to flex my brain muscles to solve please shoot them to me. I also had inspiration strike me for what I want to do with this article series next season so I’ll probably be dropping hints on that here and on twitter so keep an eye out for those. As always I love to hear what you think about my articles (especially this one with two articles in one, if people like this I may do more), so feel free to hit me up at my email, on twitter, or in the comments below. As always thanks for reading and I’ll see you all in two weeks (where I’ll actually write about the color blue). Why you shouldn’t be playing it: This is what I call a smoke card (as in where there’s smoke, there’s fire). It on its own is a decent creature (a practically free 5/4 flyer with pseudo-protection) however it is never used this way. If you are playing this card you are using it in a combo, one that will inevitably involve you winning the game while the other players fantasize about beating you up in the parking lot. Even if you do not have a combo in your deck with him, player will immediately assume you do and react accordingly, leaving you in a bloodied heap (metaphorically) and wondering what you did. Again, not a card that should get banned, but ask yourself why you are playing it before you randomly slot it into your 99.